Home>What We Do>What’s the Latest? 2019 Pins and Tshirt Design Announcement! 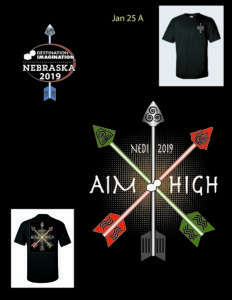 Thank you to everyone that submitted their ideas for the 2019 pins and t-shirts. 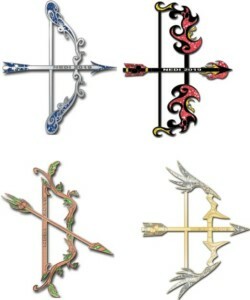 “Doing a set of pins featuring four arrows and a bow. See below the official pins and TShirts for this year! The Board of Directors realigned regions for the 2018-19 Season! Double check your region before registration! We’re excited to announce that Destination Imagination’s Global Finals is moving toKansas City, Missouri! For nearly 20 years, we have had the privilege of calling Knoxville, Tennessee home, and we are grateful to the hardworking University of Tennessee, Knoxville staff who helped us put on such a special, one-of-a-kind event for our participants each and every year. With more than 1,400 teams now competing annually, this move will allow our organization to better accommodate attendees, including housing the event under one roof andproviding a more easily accessible location for the many teams who travel to participate. Global Finals 2019, which will take place May 22-25, will mark the 20th year of this annual, international event for creative problem solvers, and we look forward to celebrating with you in Kansas City! New requirements for Appraisers! Please read very carefully! 12/10/18 *After much deliberation and research, it was found that One Source is also a reputable company for Background checks. 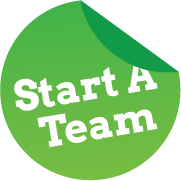 If you have had a background check done through One Source, and can provide documentation, One Source can be used as your background check for Nebraska Destination Imagination. Please send your documentation to Kim Bejot, at kimbejot@yahoo.com. This does not take the place of the background check for Global Finals. Mandatory Face to Face Appraiser training will be held in each region after January 15 and prior to the Regional Tournament and Online Training will be required. All Training will be announced on the website and our Facebook page. If your primary and secondary Appraiser is unable to attend Mandatory training or complete online training, they will not be certified to Appraise at either Tournament. Both training opportunities (face to face and online training) are required for Appraisers to be certified. Nebraska Destination Imagination is committed to the safety and wellbeing of all our participants, therefore, ALL Volunteers, Board Members, Challenge Masters, Team Managers and Appraisers are required to be certified by Verified Volunteers or OneSource as they are working directly with children participating in Destination Imagination. Do you have a great PIN and Shirt Theme idea for next season? Ready to design? See below for some things to keep in mind! See below for things to keep in mind! Go to this blog and read the latest on how to design a great pin!